Connecticut native Xhenet Aliu’s debut novel, “Brass,” is set in and around Waterbury. Waterbury is a character as well as the setting in Xhenet Aliu’s critically acclaimed debut novel “Brass” (Random House). The story contrasts the lives and dreams of two Connecticut women in two separate time periods — the struggling waitress Elsie in 1996 and her daughter Luljeta 17 years later. Elsie’s life is changed irrevocably when she gets pregnant by an immigrant cook at the Betsy Ross Diner. Two decades later, Luljeta has plans for a life in Manhattan — very different from her mother’s — but also wants to find and reconnect with the biological father she has never known. 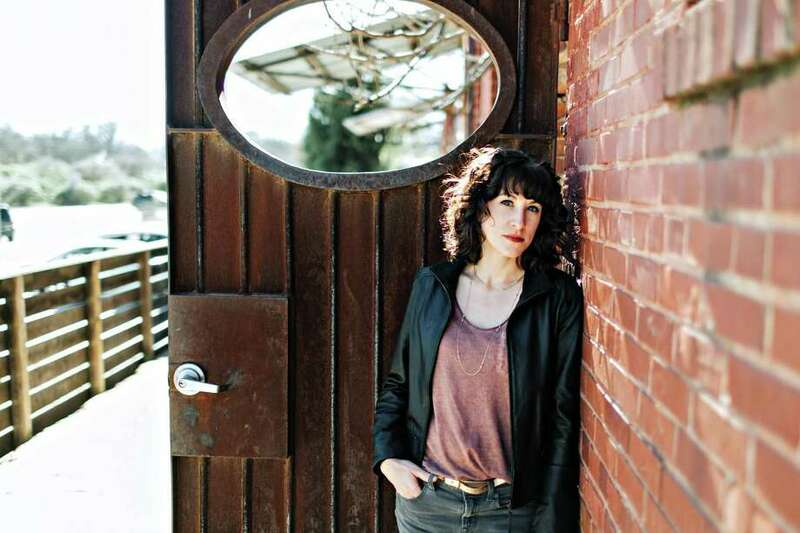 Aliu, who is an academic librarian in Athens, Ga., grew up in Waterbury and wanted to draw on the city’s post-industrial culture for her first novel. The writer admits she worried at first that family and friends would think the story is autobiographical, but they have come to understand that the characters are composites of many different people. What is real and vital in the novel is the portrait of Waterbury as a home to many different ethnic cultures and a city struggling to survive the end of the manufacturing businesses that were once its economic engine. “I didn’t think to set it elsewhere ... (the sense of place) was very important to me because of the ethnic mix. I wanted to explore these enclaves,” she says of the melting pot of natives and immigrants. Aliu is fascinated by the vast gulf between the haves and have nots in Connecticut. “You have a Rust Belt city 20 minutes away from estates and hedge fund managers,” she says of the contrast between her native city and towns like Westport and Greenwich. “In Fairfield County, you are never far from people in need. “I wanted to show that it’s wrong to assume that ‘Connecticut’ is a synonym for privilege,” the writer says of the many books and movies that have focused on Gold Coast people and lifestyles. Luljeta’s dreams of New York City make it sound like a faraway place, not somewhere you can get to in less than two hours. But Aliu says there are many people in Waterbury for whom a trip to Manhattan is a major life experience. Waterbury is often depicted harshly in “Brass,” but the writer says that’s partly a function of dealing with adolescent characters. “When you’re 17 or 18 and unhappy, you can think it’s gotta be the place where I live, and not the real sources of the problem,” she says. Many of the most vivid scenes in “Brass” are set at the Betsy Ross Diner where Elsie has her fateful meeting with the new cook. The novel recognizes the fact that despite all of the changes in American culture — and the rise of fast-food chains — Connecticut still has a remarkably healthy diner culture. Aliu has been praised for her short stories for many years, but admits it was a big leap to come up with a novel. “Brass” took her several years to complete. Happily immersed in her second novel, which she says is proving to be much easier to write, half of “Brass” is written in first person, a technique the writer has abandoned in favor of third person. “It’s nice to be out of a character’s head,” she says, laughing, of writing the Elsie sections of “Brass” in first person. “It almost seemed schizophrenic when I was doing that. The stress of the emotions got to be exhausting.